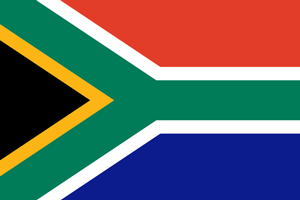 South Africa is a country marked by distinct ecosystems. The famous inland safari destination Kruger National Park, Table Mountain, wild beaches and craggy cliffs offer a beautiful combination of adventure and nature. If you are an adventure- loving person then South Africa is the place to be. Let TCE be in charge, while you plan a South African safari trip. The Rand is the official currency of South Africa. Its symbol is R and its code is ZAR. Each Rand is subdivided into 100 cents. This currency is also used in Namibia, Lesotho and Swaziland. TCE offers its customers superior exchange rates, unavailable in any other bank or exchange bureau in Canada. Our customers never over pay, instead they end up saving money. Our superior and personalized customer services ensure that our customers are satisfied. With our online ordering option, our customers can place an order for the required currency from the comfort of their own home. It not only saves time, but is reliable as well. With the home delivery option, the package is delivered through Canada post to the customer within two business days.